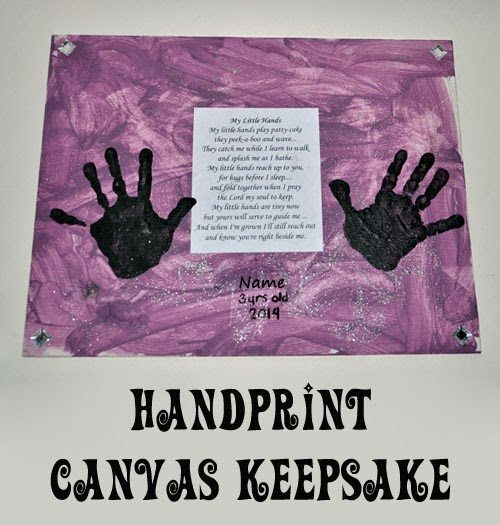 This precious canvas keepsake is made with my daughter’s handprints and a cute handprint poem. We have it proudly displayed in our living room as decor. Stop by our article on the What to Expect website to get the step-by-step tutorial on how we made it.